From Coast to Coast, Who Loves Their Mom the Most? Football has the Super Bowl. Movies have the Oscars. Restaurants have Mother’s Day. Every year, on the second Sunday in May, restaurants all over the country whip up their tastiest specials, load up on champagne, and pray that everything goes off without a hitch. Given that it’s the busiest dining day of year, we can all imagine the effect Mother’s Day has on a restaurant’s bottom line. This year Lavu decided to take a more granular look at this Trump-sized influx of patrons and money. No Mother Left Behind...be sure to make a reservation! You won’t win child of the year by taking mom out to lunch only to discover that there’s a 2 hour wait. Remember to make a reservation a few weeks in advance. If you’re the last minute type, think ahead and avoid certain times. Our data reveal that the 12:00 pm hour is the busiest of the day with 12% of guests, followed shortly by 1:00 pm at 11%. A 3:00 pm reservation should offer the shortest wait while still falling within prime eating hours. Located directly between the lunch and dinner rushes, only 6% of diners opt for a 3:00 pm reservation. Sundays are known within the industry for being hit-or-miss, but on this one day a year restaurants may see upwards of a 71% increase in overall tickets. What sets Mother’s Day apart from other busy holidays is the fact that tickets increase in both quantity and amount spent. Servers will be glad to learn that the average Mother’s Day check is 39% larger than on a normal day. It’s the best of both worlds, larger checks and more of them. 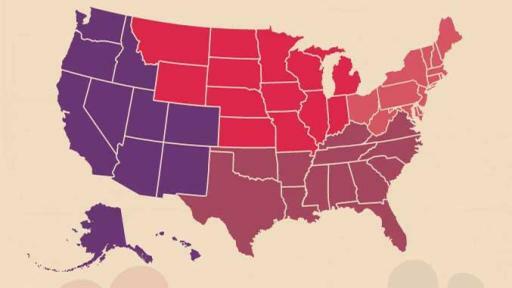 We were interested to see which states love their mothers the most. Perhaps unsurprisingly, a southern state wins. Virginia, with an average ticket size of $71.99 narrowly edges out Rhode Island ($71.85). When looking at regional trends though, neither the South ($42.24) or Northeast ($48.64) can hold a candle to the West ($53.27). The Midwest apparently has a bone to pick with their mothers who spend $36.51 on their Mother’s Day tabs, a full 13% less than the next closest region. We recommend flowers. Remember to keep your receipt this Sunday and see how you compare to your state average. Who loves their mother the most?